NOW IS THE TIME TO MAKE A MOVE ON A YACHT! The Fort Lauderdale boat show was neither good nor bad. IT WAS HOT. In this case I am referring to temperature not action. Yachts had offers made on them and some yachts were sold. There were a good number of buyers at the show, but many were not ready to move yet. When they do, prices will start to increase again. The next 30 to 60 days is an excellent time to look at getting a good quality vessel at a good value. Note I did not say "steal" as it looks like the steals are less and less out there, but there are very good values. There are several large Dutch built vessels that could be great deals. 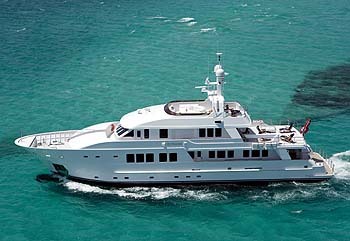 There are a number of other world cruising vessels that are solid values. The All Ocean Yacht team contacted over 200 world cruising listing from 65' to 300' before the show to get the latest updates on the vessels and the motivation to sell. Contact Us to see what vessels meet your requirements, are ready to go, have had recent upgrades, and price reductions.